Reading is many things to so many people. It’s not just an escape from life, but an immersive experience that allows us to jump headfirst into worlds, words and characters whose lives are interesting in so many ways. Society though, often doesn’t make enough space for promoting the culture of reading. At least not as much as I think they could be. The onus is often up to readers to spread the word, promote good books, review them on platforms that cover books and enthusiastically spread the book joy by word of mouth. Enter the world of celebrity book clubs. With power, influence and tremendous clout to their name, many celebrities are not only embracing their love of reading, but they’re using their platform to encourages readers and non-readers alike to pick up a book and read. And we probably have Oprah Winfrey to thank for that. I consider her the true pioneer of the television-turned-online book club society. And many authors could probably thank her for their bestselling status, because if Oprah recommends that people read your novel, then people are going to listen. Admittedly many of the books she recommends aren’t within my genre preference, but that’s the joy of the expanding empire that’s become celebrity book clubs. There’s something that will appeal to everyone. And even if it doesn’t, the one thing I can say is that celebrities bring something to the table that we don’t get in our own book club groups – opportunities to see them interview authors. 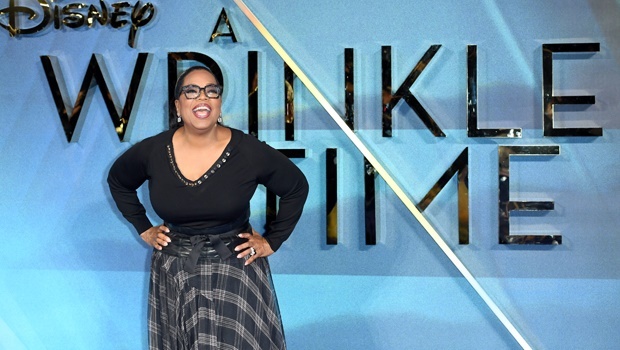 The amazing thing about Oprah’s book club is that she not only recommends books, but she also includes reading guides for her picks, powerful quotes and has a complete and detailed list of book club picks on her backlist. And as I’ve said, for me, even though I don’t always read a specific genre, I enjoy finding out more information about the book and the reasons for it being on someone’s list. Other celebrities who’ve all followed the book club trend include Emma Watson, Florence Welch (of Florence and the Machine Fame), Reese Witherspoon, Emma Roberts and Sarah Jessica Parker to mention but a few. Each of these celebrities offer something very different. I confess that I’ve joined Emma Watson’s book club since her books focus on contemporary, feminist and social issues. Her book club also hosts regular interviews as well as book giveaways, so if you’re a member of Goodreads.com, just search for the group Our Shared Shelf and click join. Reese Witherspoon’s mix of contemporary and popular fiction has also made for increasing popularity with users. Her Instagram is a collection of beautifully curated feeds from both herself and fellow bookstagrammers. Each celebrity book club really depends on what you’re looking for in books. I confess I’d love to see some local celebrities running book clubs that feature South African reads. Nomzamo Mbatha, Khanyi Dhlomo, DJ Zinhle? Have you joined a celebrity book club? What books have you discovered because a celebrity recommended them? We’d love to hear from you. Author of the bestselling book Children of Blood and Bone, Tomi Adeyemi reads an excerpt from her book during her UK book tour. 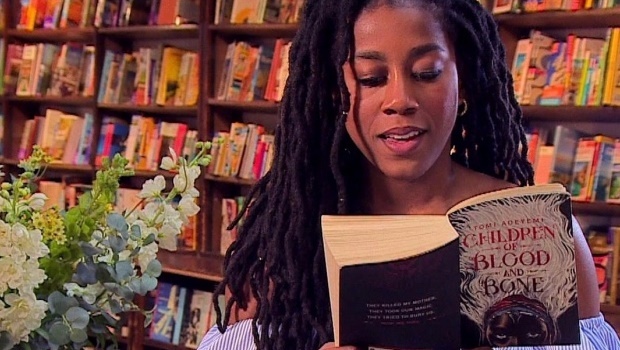 Speaking of book club picks, we were recently granted the fantastic opportunity to interview the author of one of Jimmy Fallon’s book club picks, Tomi Adeyemi. The Nigerian-American author has written a phenomenal fantasy novel that has become a contender for my top five reads of 2018 and it’s one that has seen her book being dubbed as the Black Panther of fiction novels. In our interview, she talks to us about what inspired the book, why it was intentional to write a book that was a story of pain and empowerment and how never having seen herself represented in books played a huge role in her novel and in creating her cast of characters. This month we’re giving you the chance to win a book that was recently featured on Emma Watson’s book club picks. It also happens to be one of my favourite reads. That book is Angie Thomas’ Black Lives Matter book, The Hate U Give. 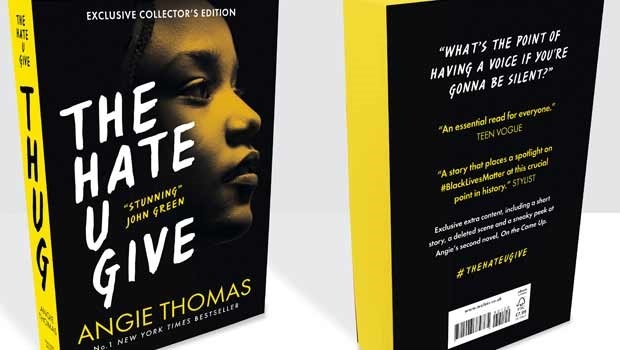 It’s a novel that tackles police brutality and injustice through the eyes of a 16-year old girl who witnesses the shooting of her unarmed best friend. We’ve got 5 beautiful signed collector’s editions copies that are just waiting to find a home, so be sure enter right now. The bestselling novel, soon showing on our big screens is an important story about police brutality and racism. And you could win a copy! Swinging between a traditional yet deeply personal narrative and a series of letters, Tayari Jones affords the reader a first-hand view directly into the core of a marriage under strain. A one-night stand with a student sends academic Tertius de Klerk into a tail spin that will ultimately lead him to a distant land and a part of his family history that has been long forgotten. Wild Blue Wonder is a novel about family bonds, friendship, and the truth about monsters. Blood Cruise is top-notch horror that’s beautifully crafted to scare and dazzle. Through six-year-old Zach’s eyes the day a shooter went on the rampage at his school changes everything fundamentally. How can a family, a community heal itself after such an event?